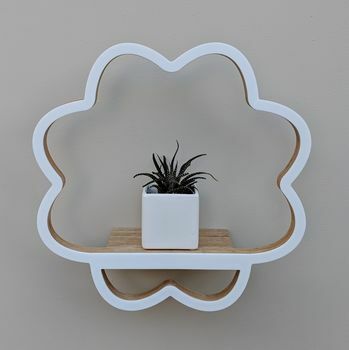 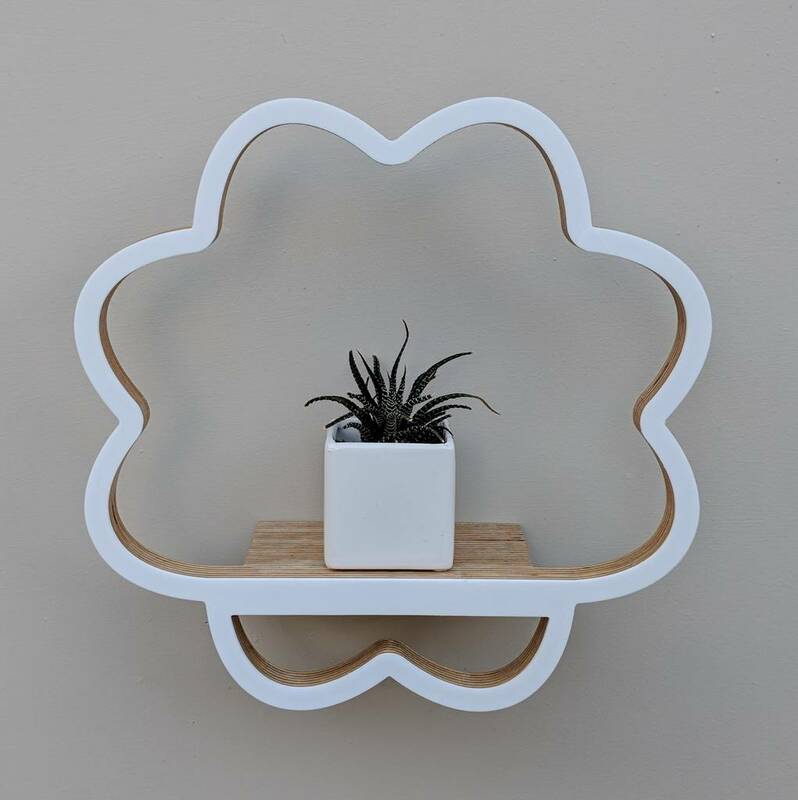 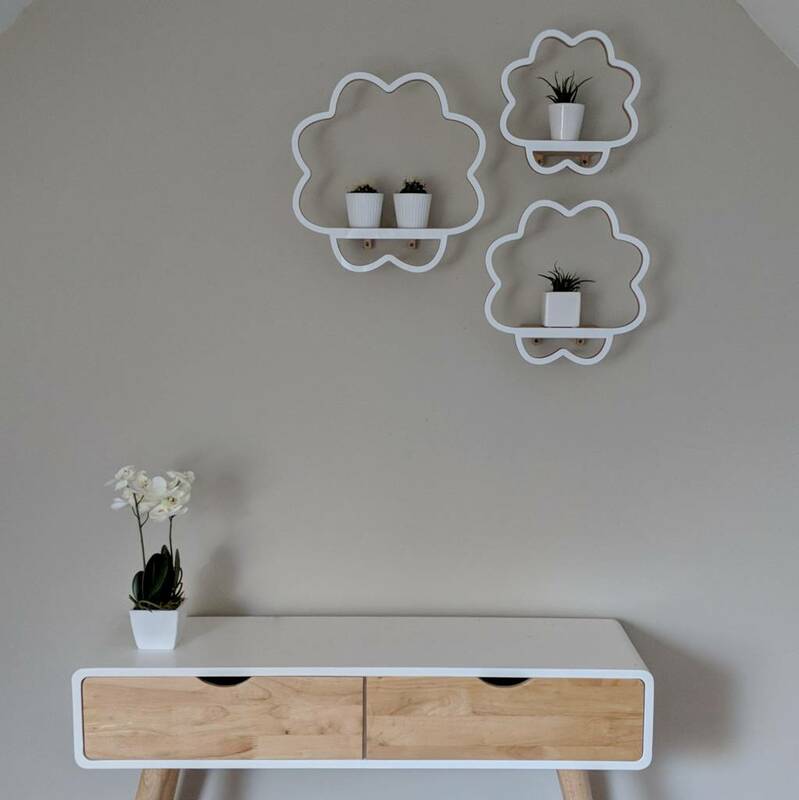 This modern and unique wooden shelving unit inspired by a flower looks beautiful in any room and will create lots of admiration from your guests. 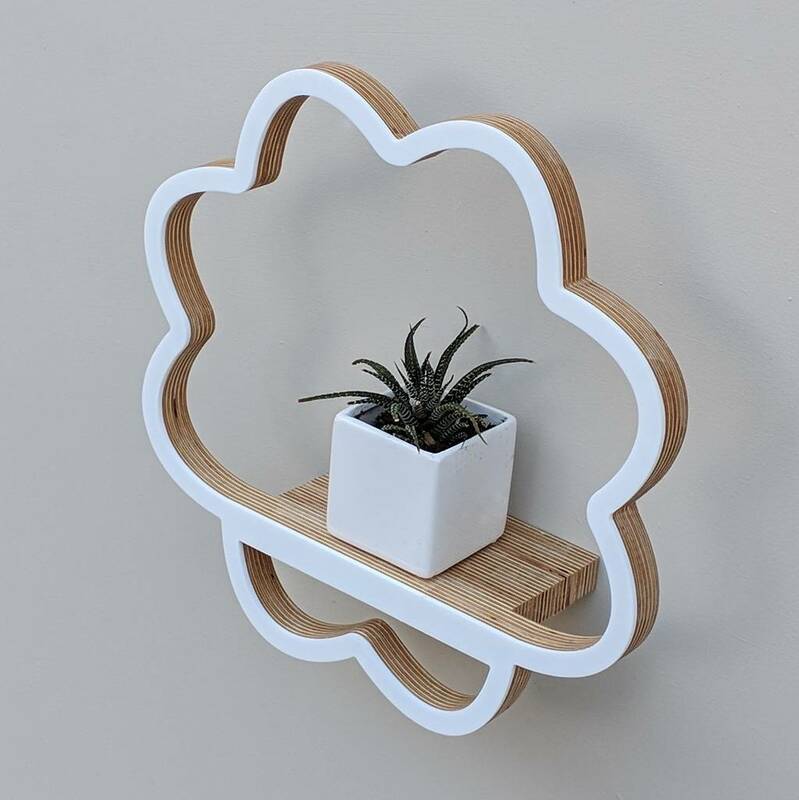 This shelving makes a very unique gift and looks great purchased as a pair floating along a wall. 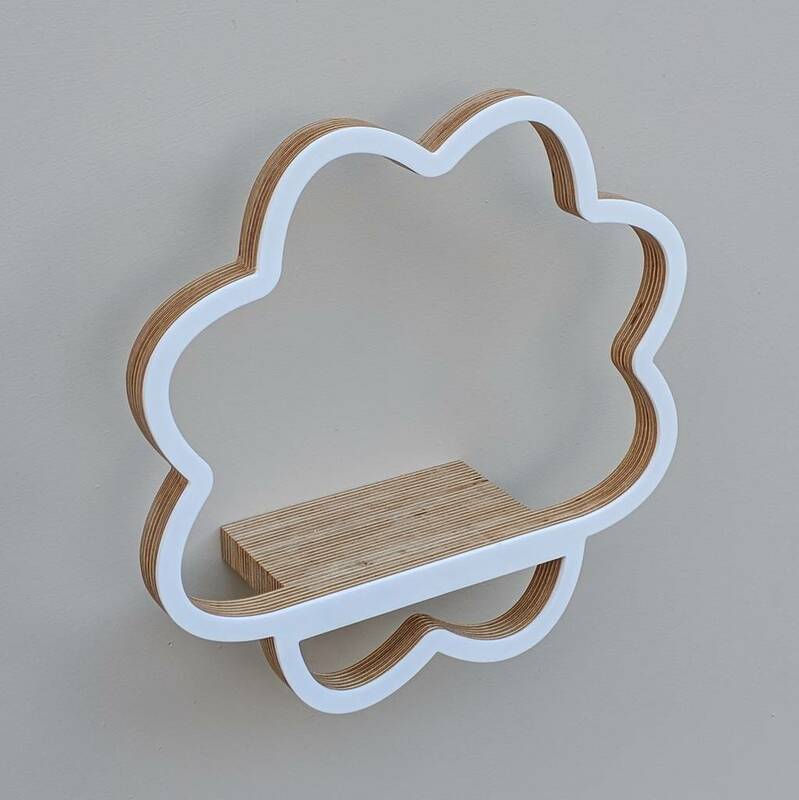 Inspired by a weather symbol cloud, this shelving is crafted from layers of wood gently sanded and then treated with lovely warm Danish oil. 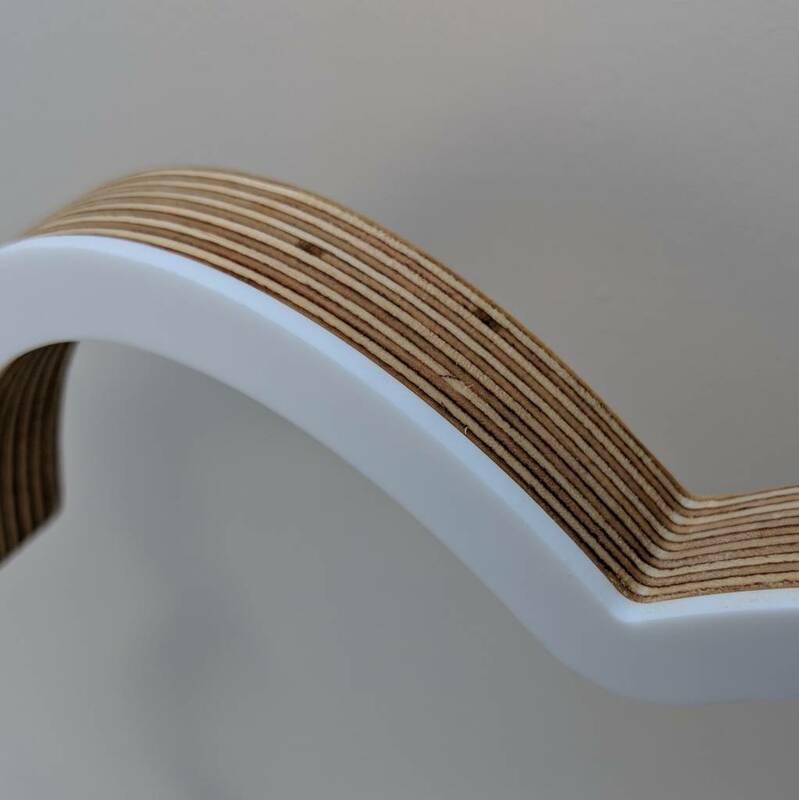 As you can see from the photos the interesting layers in the wood really makes this piece stand out. 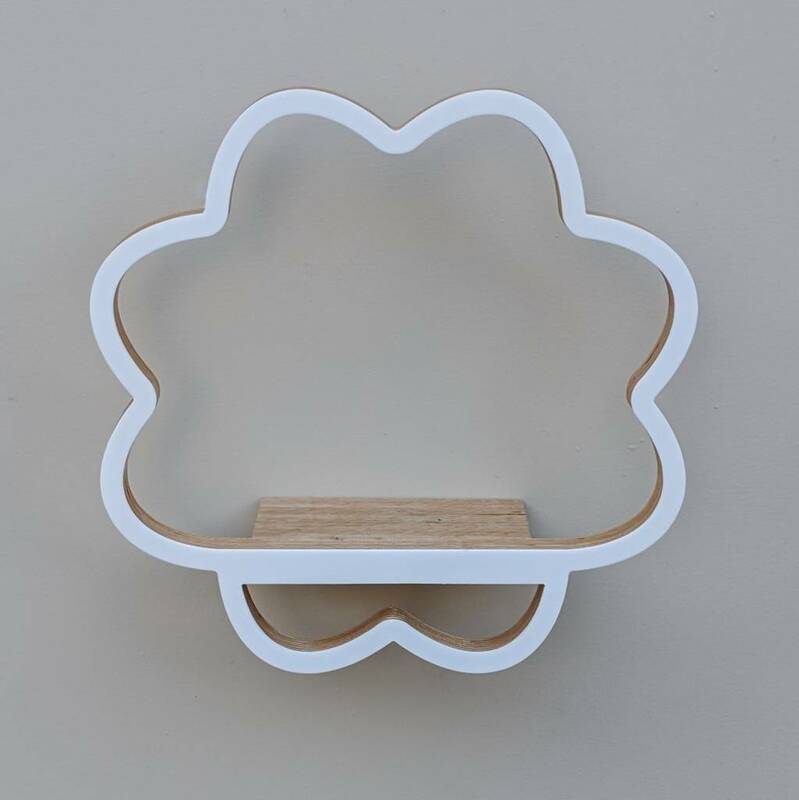 Along with the wood, the shelving is finished with a super glossy acrylic front which makes the piece incredibly special.